Joseph D. Healy of Dorchester, Mass. was a graduate of the Massachusetts Maritime Academy and trained on the Massachusetts Nautical Training Ship. 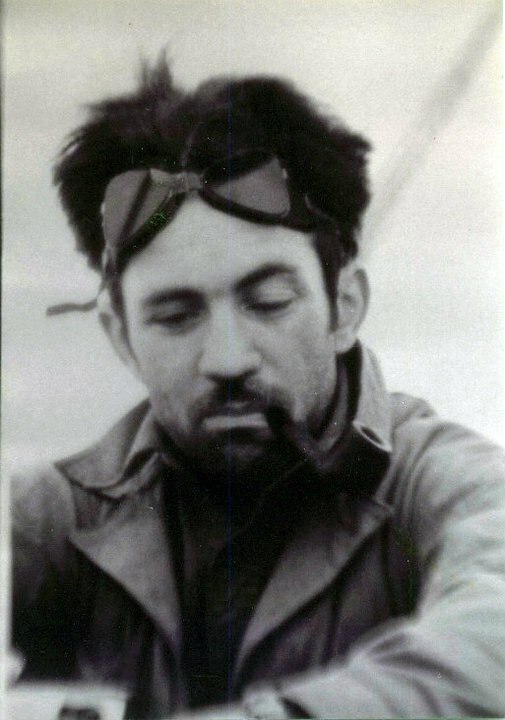 After working aboard ships for several years, he Joined Adm. Richard E. Byrd's 1933-35 South Pole Expedition as second mate on the supply ship "Jacob Ruppert". Later he went ashore to work with the dog teams. 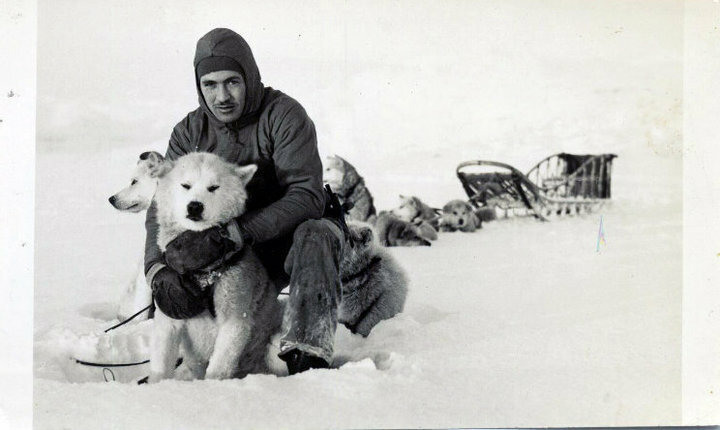 Having served as a dog driver on the Second Byrd Expedition, Healy was valued for his experience and proven abilities and was accepted as a dog driver on the USASE. He joined the third Byrd Expedition in 1939 and returned in May of 1941. The official title was the United States Antarctic Service Expedition (USASE). 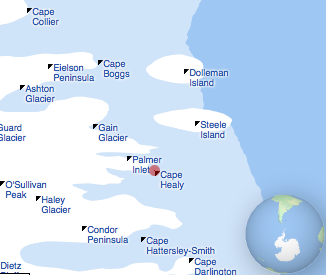 There is a web site by Laura Snow and John Dyer (daughter and son of Ashley Snow and Glenn Dyer respectively), dedicated to the East Base of the United States Antarctic Service Expedition. Joe Healy is at the lower left with one of his dogs in the group photo on their site. | Click here for a larger version on this site. Joe Healy and Lytton Musselman were members of the Southeastern-Eternity Range Survey trail party, led by J. Glenn Dyer. 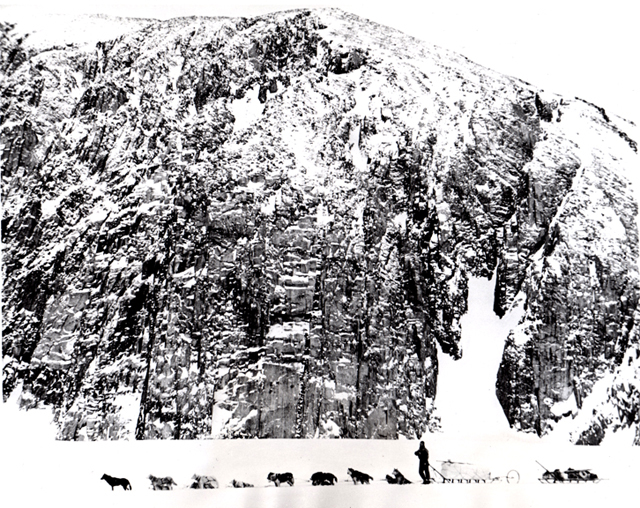 The trail party departed East Base with Finn Ronne and Carl Eklund on November 6, 1940, separated from Ronne and Eklund on November 21, and proceeded on their expedition until their return to East Base on December 11. Joe's Antarctic diary as transcribed by his sister Judie St. Onge. The cover says "SECOND SOUTH POLE EXPEDITION 1940". It was Joe's second expedition having sailed with Byrd on the S.S. Jacob Rupert in 1933 - 1935. This was Byrd's third expedition and is known as the United States Antarctic Service Expedition. The diary was scanned in order. Some missing pages are indicated by blank pages. The first section covers the period Sept. 10, 1940 to Sept 20, 1940 Dec 12, 1940. It was written on a depot laying trip down the central plateau for the Weddel coast with Paul Knowles, Donald Hilton, Lytton Mussleman and Joe Healy. p.3 - 22. The second section occurs Oct. 23 - Oct. 26 with Hilton, Darlington, Musselman, Palmer and Larke to establish a weather station at Mile High Camp. The later two will occupy the station for about two months. p.23 -27. The third section, titled SOUTHERN TRIP covers Nov 6 to Dec 12, 1940. Seven men went Healy, Knowles, Hilton, Dyer, Musselman, Ronne and Sickland. p.28 -78. Reading the diary it is apparent that Joe thought very little of Finn Ronne and the way he indiscriminately killed the sled dogs. There is an addendum of two pages Southern Relief Trip with Joe, Black, Knowles and Hilton covering two days, Jan. 22 & 23, 1941. p. 79 - 80. They had to "help bring ... back" the apparently less than competent Finn Ronne. There are five poems included in the diary, three by Joe, one by Coleridge and another by Zoe Akins. p.81 -85. One of Judie's grandson's, Joe St.Onge is named after his great uncle. Richardson's Movie An hour long color film of the expedition on YouTube. In 2003, the Byrd Polar Research Center Archival Program (BPRCAP) received a grant from the National Film Preservation Foundation to preserve two films from the Harrison H. Richardson Collection. Richardson was the meteorological observer on Byrd's third expedition to Antarctica, the U.S. Antarctic Service Expedition, 1939-1941. The film is believed to be some of the first color footage shot in Antarctica. On Adm. Byrd's Antarctic expedition, 1939-1941. Reel 1, a snowmobile is loaded on the North Star at Boston. Men are initiated at the Equator. The ship anchors at Pitcairn Island, natives row to the ship with fresh food, and a party visits the island. The ship sails past volcanic peaks on the island. Reel 2, the Bear passes through ice floes. Shows whales, seals, and penguins. A snowmobile, a Condor seaplane, and other supplies are unloaded at Little America. Reel 3, the Bear moves past icebergs off Palmer Peninsula. A Barkley-Grow seaplane is unloaded and takes off. Penguins play on the ice. Seals and penguins are captured and taken aboard. Reel 4, the Bear rounds Cape Horn. Shows men chopping seal meat, feeding dogs, and making skis and sleds. A Condor seaplane takes off. Seals, penguins, and snow petrels are shown. Shows panoramic shots of a camp near the Rockefeller Mountains. Reel 5, supplies, including a Barkley-Grow seaplane, are loaded on the North Star. A seal is lassoed and penguins are fed. Department of the Interior. Office of Territories. (07/28/1950 - 07/01/1971) Made possible by a donation from Public.Resource.Org. See the note from Tony Morency about H. H. Richardson after Joe's death. Joseph Healy was a contemporary of the Antarctic explorer Richard Byrd (1888-1957), under whose leadership he served as a member of the United States Antarctic Service Expedition, 1939-1941. 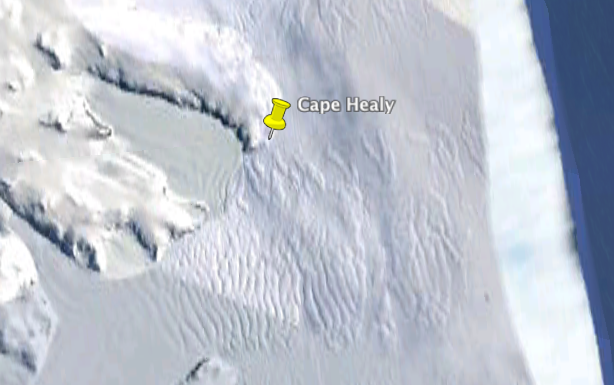 Cape Healy (71°22' S 60°58' W) is a prominent, square-shaped rock cape forming the north side of the entrance to Lamplugh Inlet, on the east coast of Palmer Land, Antarctica. 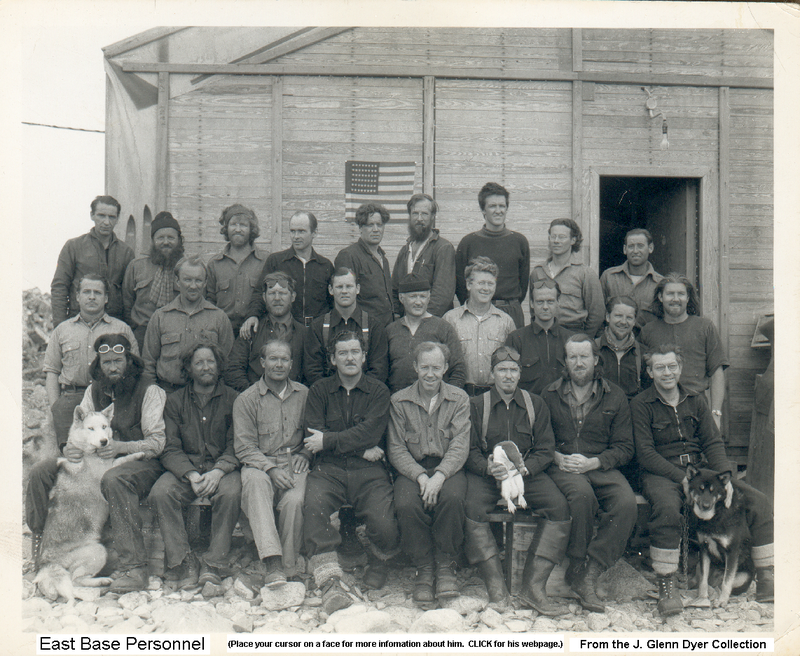 It was discovered by members of the United States Antarctic Service (USAS) who explored this coast by land and from the air in 1940, and was named for Joseph D. Healy, a member of the Byrd Antarctic Expedition, 193335, and a dog driver at the USAS East Base, 193941. The United States Antarctic Expedition Medal (1939-1941) commemorates Antarctic exploration; more specifically, it was awarded to members of the United States Antarctic Expedition of 1939-1941 to recognize their contributions to the Nation in the field of Polar exploration and science. The first award of the United States Antarctic Expedition Medal was made to Rear Admiral Richard E. Byrd. In the center of a gold, silver, or bronze medallion one and a quarter inches in diameter, a design representative of the globe as viewed from below. At the top of the globe is a three-tiered scroll bearing the words, SCIENCE, PIONEERING, EXPLORATION. Below the scroll is the outline of the polar region, with the names SOUTH PACIFIC OCEAN, ANTARCTICA, SOUTH POLE, PALMERLAND, LITTLE AMERICA in very small letters. Forming a circle around this design, the words THE UNITED STATES ANTARCTIC EXPEDITION and the dates 1939 - 1941 at the base. The reverse is plain except for the following inscription: BY ACT OF / THE CONGRESS OF THE / UNITED STATES OF AMERICA / TO [blank space for engraving the recipient's name] / IN RECOGNITION OF INVALUABLE / SERVICE TO THE NATION BY / COURAGEOUS PIONEERING IN POLAR / EXPLORATION WHICH RESULTED / IN IMPORTANT GEOGRAPHICAL / AND SCIENTIFIC / DISCOVERIES. The ribbon to the United States Antarctic Expedition Medal is ice blue with a white center stripe; on the white stripe are two small red stripes. The basic design of this ribbon is the reverse of the Byrd Antarctic Expedition Medal (1928-1930). 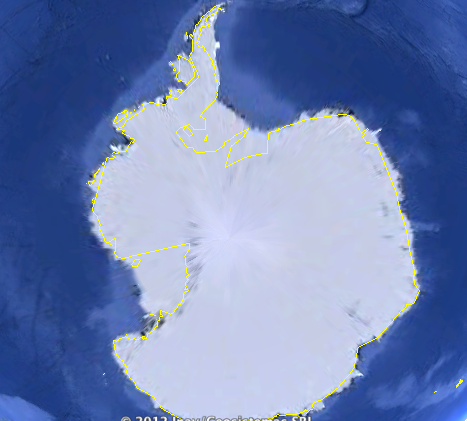 The ice blue and white represent the cold colors of Antarctica and the red stands for sacrifice. for your work in the Polar regions. part in helping to make this undertaking successful. your continued success and well being throughout your life. I shall always be interested in your welfare.